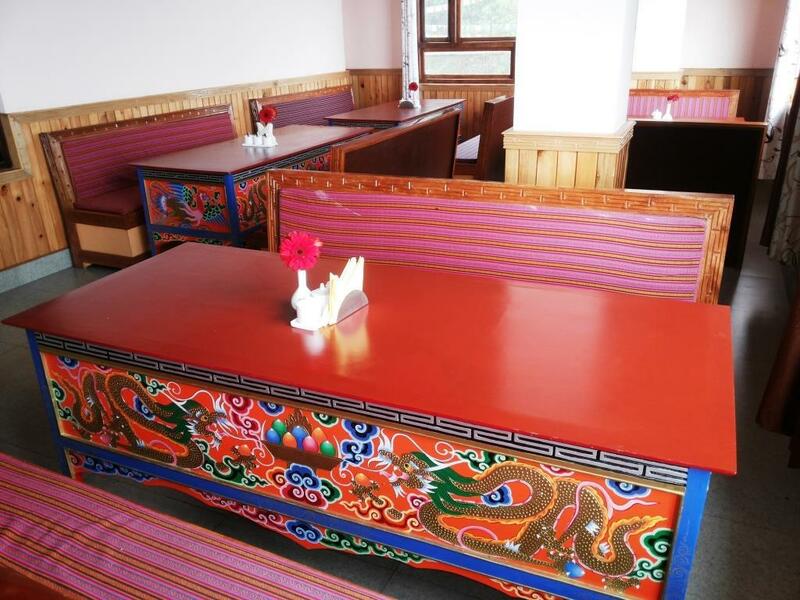 Placed at an approximate distance of 7 km from the Sikkim Himalayan Zoological Park, Dragon Inn is a budget hotel offering free internet access and breakfast service to its patrons. This property in Gangtok is accessible from Local Bus Stop, which is 6 km away. Arranged over 4 floors, this accommodation in Gangtok has a total of 21 well-appointed rooms that are equipped with essential requisites. Rooms include conveniences like telephone, makeup mirror, cupboard, television and attached bathroom. Family/Child Friendly, Room Service, Laundry Facilities, Doctor on Call, Breakfast Services, Baggage Storage on Request, Airport Transportation, Travel Counter, Parking, Currency Exchange. House Keeping, Air Conditioning Room, Television Room, Wakeup Calls, Moisturiser, Internet Access, DVD Player, Cable/Satellite TV, Room Heater, Toothbrush/Razor on Request. User reviews for "Dragon Inn Hotel Gangtok"